There is a maxim that comes from the world of Python programming: “There should be one – and preferably only one – obvious way to do it.” (See The Zen of Python) in the references. While that is a good goal for any language, it is a difficult goal to achieve. T-SQL is no exception here! Consider a simple problem: You have a customer transaction table with dated rows. You are asked to produce a list of the top transactions per day. “Top” could be defined as the one with the most items, the highest value, the most important customer or a variety of other criteria. However, you define it, at some point, you will want the maximum (or minimum) value of one of the columns. Then you will want to output the entire row (or rows, in the case of a tie) matching that value. Sounds simple, right? Well, it actually is simple, but the number of ways to do it may surprise you! A clustered index is critical to performance on any table. Not only does it dictate the logical storage of data for the entire table, but it also is the index that all others will reference when additional data is required. A poorly chosen clustered index can greatly hamper performance, causing latency, contention, and excessive IO. 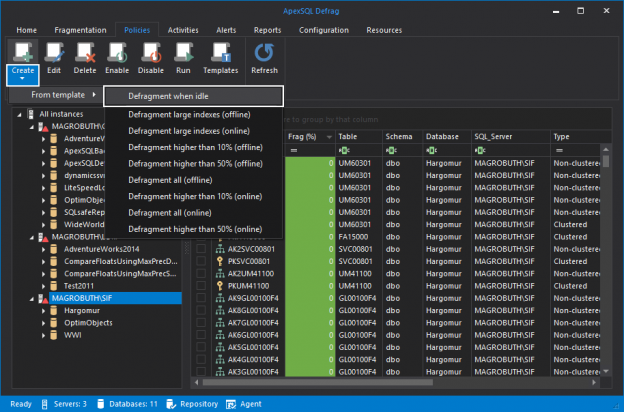 In this article, we will explore clustered indexes, and use ApexSQL Tools to assist in identifying those that could be improved upon. Creating a foolproof disaster recovery solution is imperative for every business. After the Recovery Point Objective (RPO) and Recovery Time Objective (RTO) are defined, a database backup plan should be created to match these objectives. Most DBAs tend to automate the majority of tasks related to database backup plans. 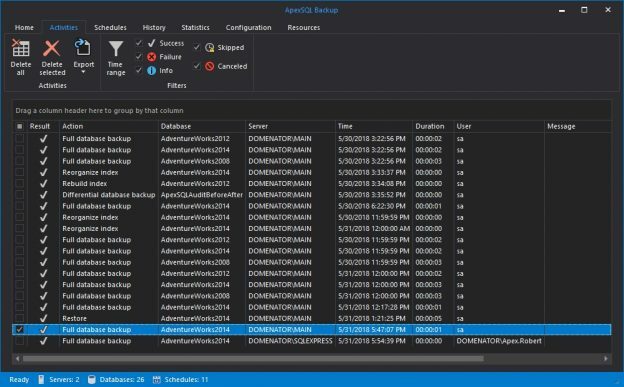 Regular database backup schedules are set in order to create continuous backup chains, that can later be used to recover a database in the case of a disastrous event. By setting the backup schedule, the continuity of the backup process is ensured, and most of the job is performed automatically on a regular basis. The goal of this article is to explain how to use branches in order to diverge from the main development line aka master branch and leave it unaffected by all the committed changesets that are not yet tested and confirmed as good ones. 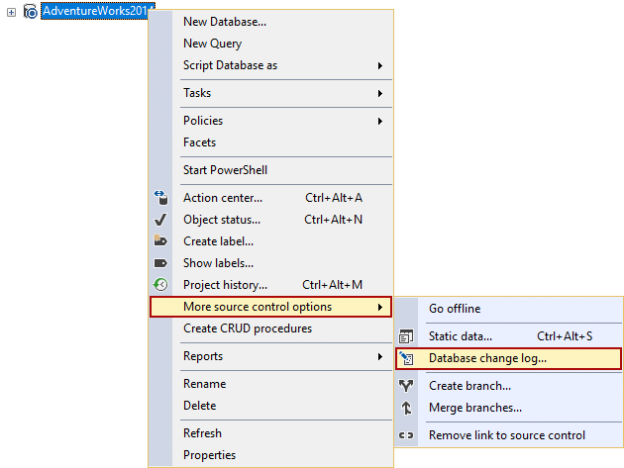 As long as a separate branch is used to commit changes, a master branch can be used to deploy a working copy of a database from source control for any purposes. 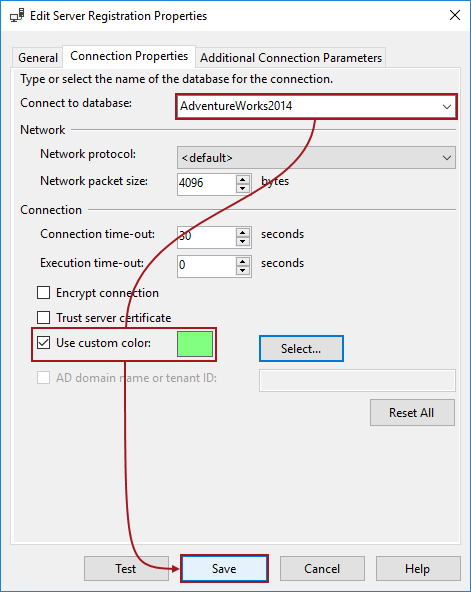 For database administrators who work on a multiple SQL Servers simultaneously, this feature is a time-saver that allows users to quickly determine which SQL Server are currently used by looking at a color defined for the associated server. In aggregate, SQL Server Wait statistics are complex, comprising hundreds of wait types registered with every execution of the query. 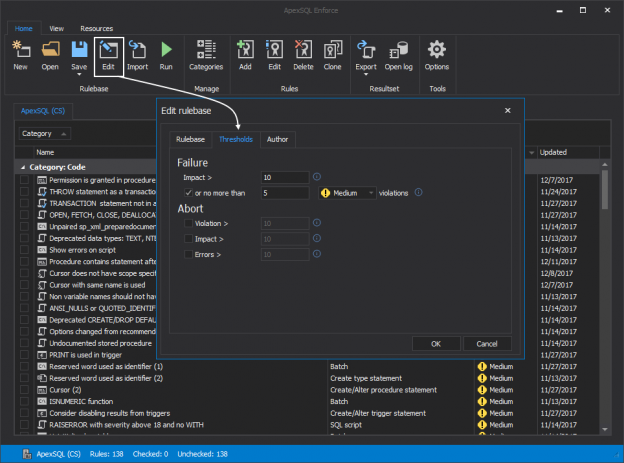 So, to better understand how and why the wait statistic, in general, is the most important for detecting and troubleshooting SQL Server performance issues, it is important to understand the mechanism of how a query executes on SQL Server, since SQL Server performance problems are the ones that most often affect end users. Eighty-two percent of the enterprises expect the number of databases to increase over the next twelve months. An increase in data volumes can have negative effects on the performance of databases. Think about the storage requirement and backup strategy to meet the Recovery Time Objective and the Recovery Point Objective. RPO and RTO are two of the most important parameters of a disaster recovery or data protection plan. The growing adoption of Continuous Integration development practice implies that developers have to work in a collaborative manner by storing and sharing their source code into a central repository. 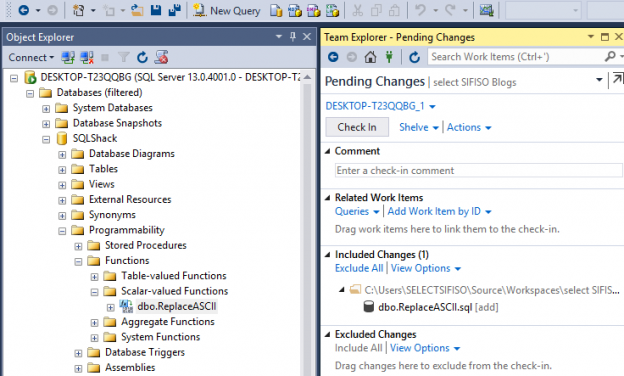 For SQL Server Business Intelligence (SQL Server BI) developers, the collaboration is usually made possible by the Team Explorer plug-in for Visual Studio which provides an interface for integrating SSRS, SSIS and SSAS solutions into source control environments such as Team Foundation Version Control (TFVC) or Git. 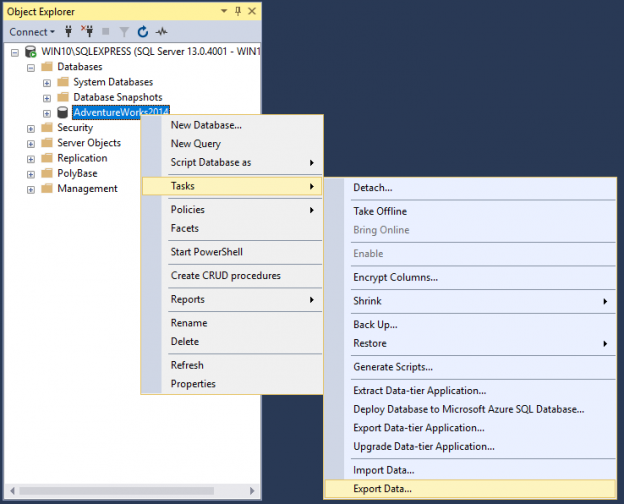 However, several aspects of SQL Server BI solutions involve T-SQL development (i.e. 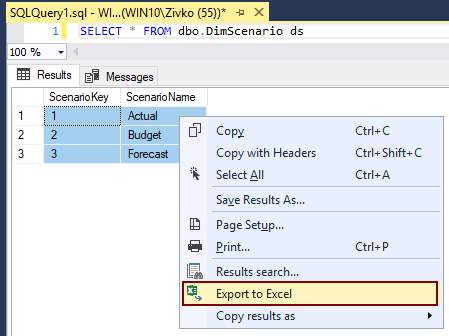 defining of SSRS datasets, SSAS data source views, as well as SSIS source data flow tasks). One of many Tableau administrator responsibilities is to be familiar with the server configuration, managing users, automated server job process management, knowing Tableau metadata and being familiar with migration and scheduling. 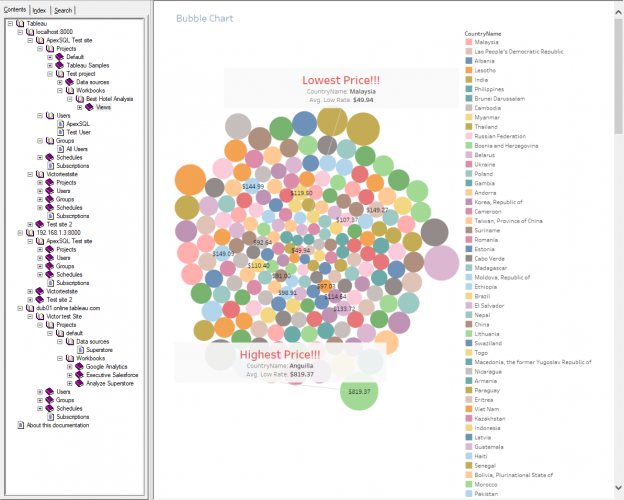 To stay updated and keep everything under control, good Tableau documentation can come in handy. 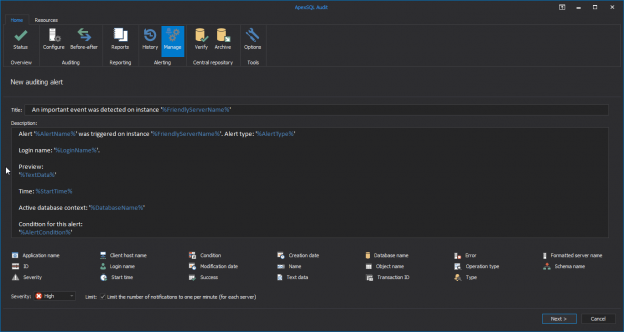 Such documentation can be created using ApexSQL Doc, a tool for creating SQL Server, BI, SharePoint as well as Tableau site documentation, which will be covered in this article. A DML trigger is a special kind of procedural code programmed to fire when a data manipulation language (DML) event occurs in the database server. DML events include UPDATE, INSERT, or DELETE statements issued against a table or view. 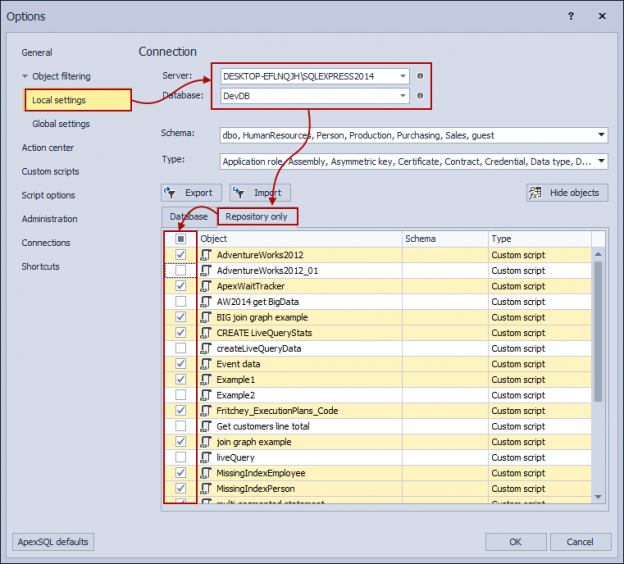 SQL Server has three types of triggers: DML triggers, DDL triggers, and logon triggers. For the purpose of this article, only DML triggers will be used to demonstrate and achieve a specific goal. When creating indexes, database administrators should look for the best settings to ensure minimal performance impact and degradation. However, over time, indexes will get fragmented, which can severely impact server performance.